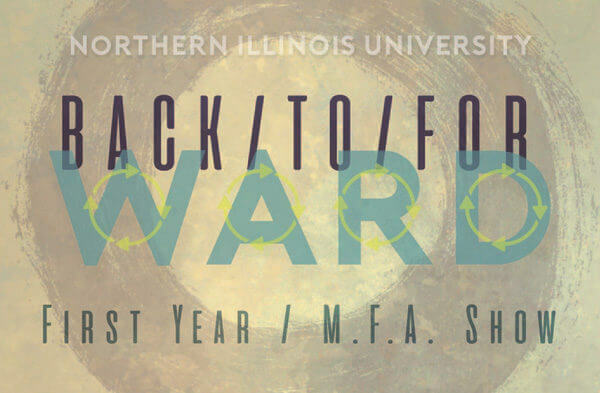 Northern Illinois University’s School of Art and Design presents Back/To/For/ward, the Fall 2016 Master of Fine Arts group exhibition of first-year graduate artwork. Please join students as they host an opening reception on Wednesday, Nov. 2, 2016, beginning at 6:30 p.m., at Gallery 215 at 215 North Fourth St., in DeKalb. Back/To/For/ward is the introductory event for new graduate students working toward Master of Fine Arts degrees in studio arts. Artists from the various disciplines will display samples of their newly completed artwork. Be sure to attend the preview of their artistry and talent as they begin their graduate studies. The show runs through Nov. 8.